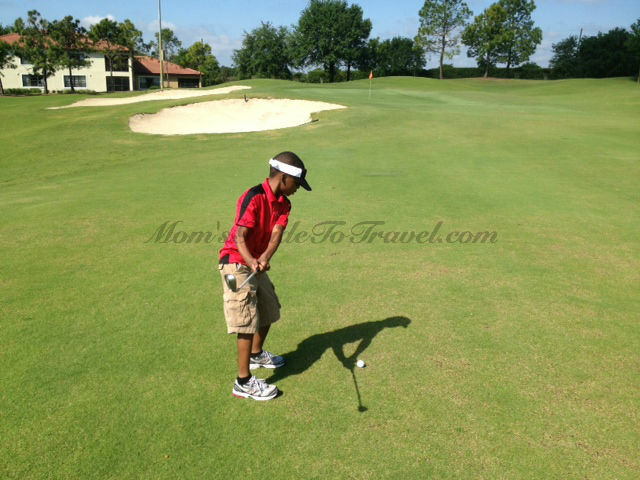 My husband and 8 year old are the golfers in the family. Whenever there’s a hint of warm weather, the spouse is clamoring for his clubs and scheduling a tee time. So, for our trip to Kissimmee, I really wanted my two big “boys” to get some quality father-son time in and enjoy a game of golf. Kissimmee has several options for golf, including, of course, miniature golf. At the courtesy of Holiday Inn Club Vacations, my husband and son enjoyed 9 holes of golf at their Orange Lake Resort Legends walking course. 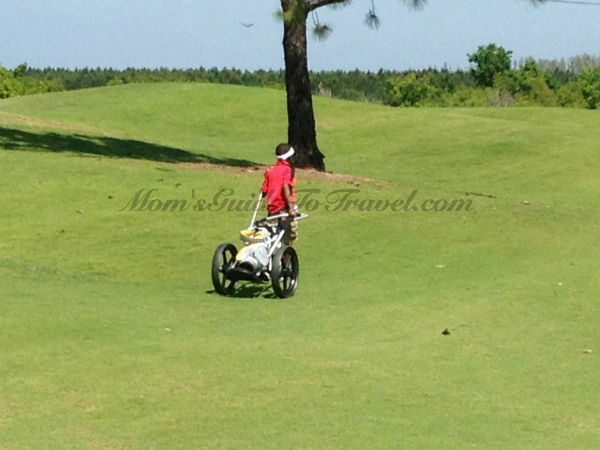 The course is kid-friendly, complete with par 3s. It wasn’t crowded and it’s the only night-lit course in Orlando, a rarity, in general, in the United States. 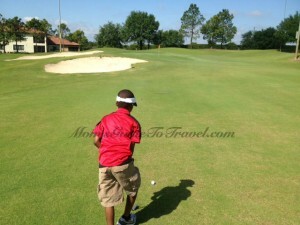 The course is designed by champion golfer Arnold Palmer. They began their game at 10:30 am and were done by 1:30 pm just in time to grab lunch. My husband was pleased with my son’s ability to deal with the course and felt it was very appropriate for his first 9-hole game. My 8 year old felt accomplished and excited to do more than just driving at a range or putting at a traditional put-put course. I was happy to see them creating golf memories with each other, listening with renewed interest to their conversation about individual holes. 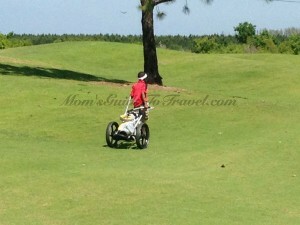 The golf outing was definitely a highlight for them and a nice father-son break. I have a feeling that this is the beginning of a beautiful golf relationship between them.